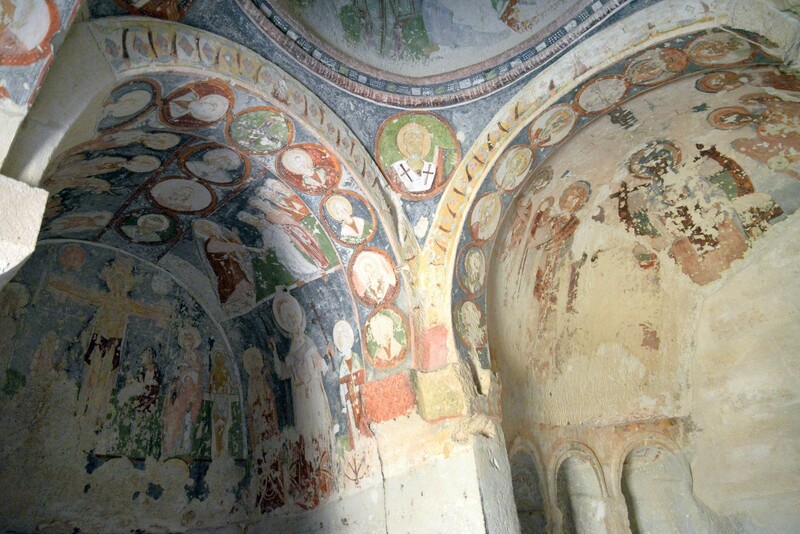 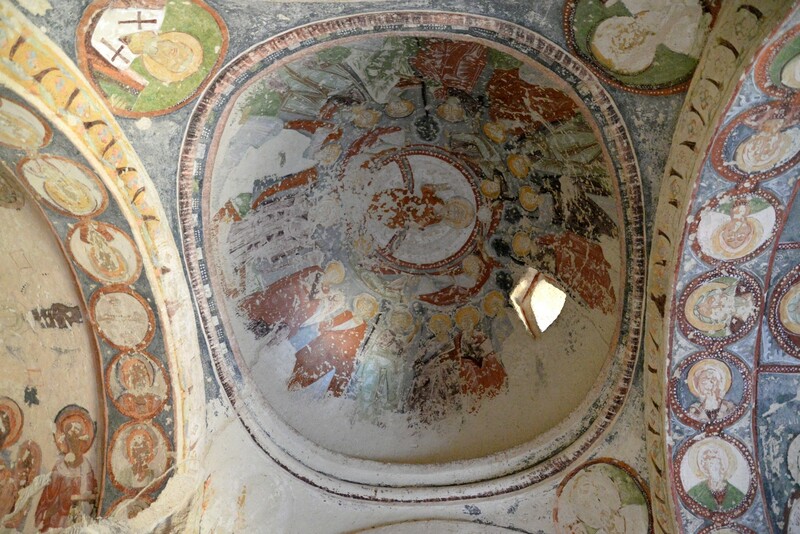 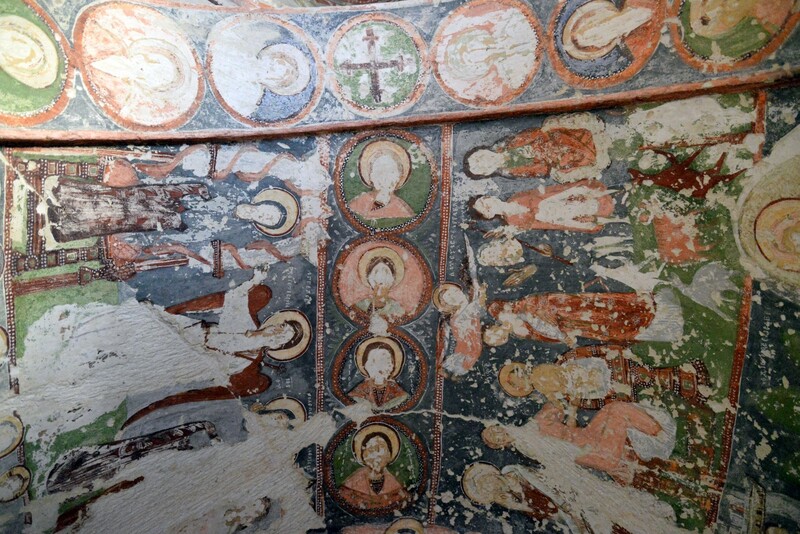 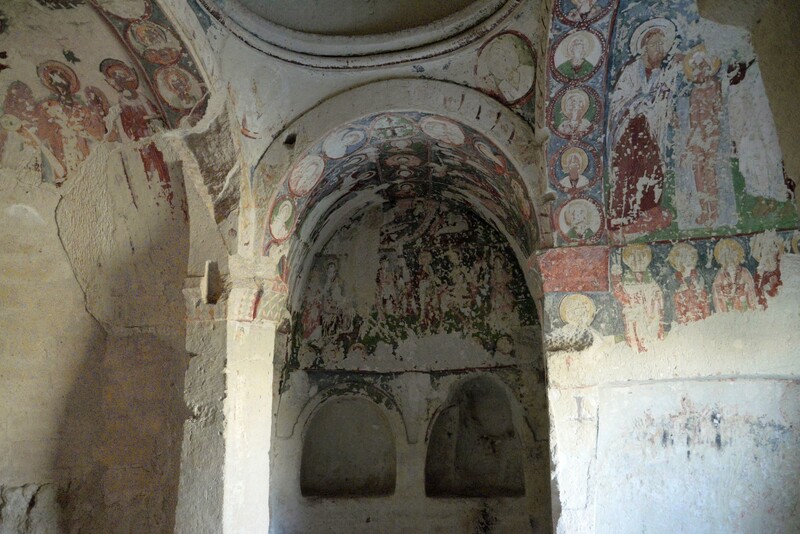 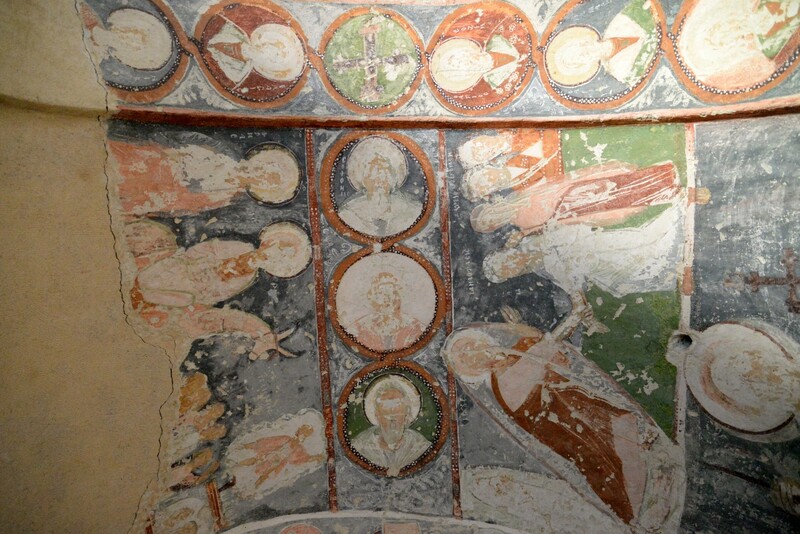 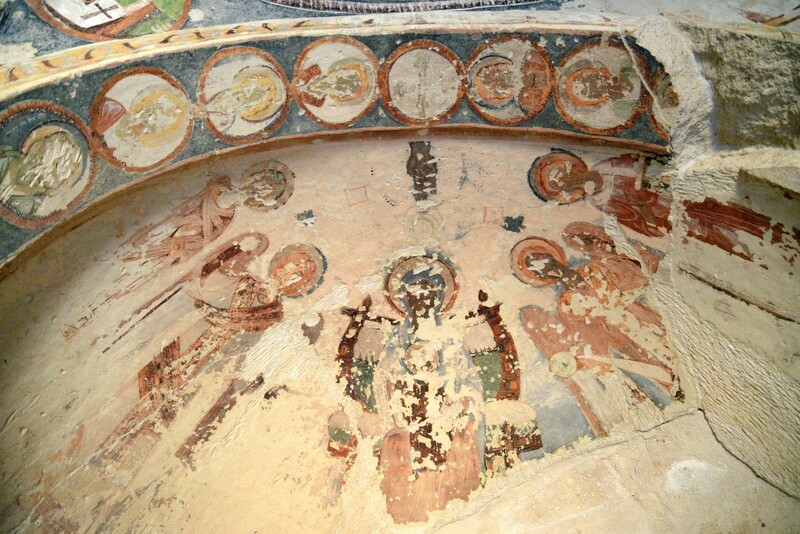 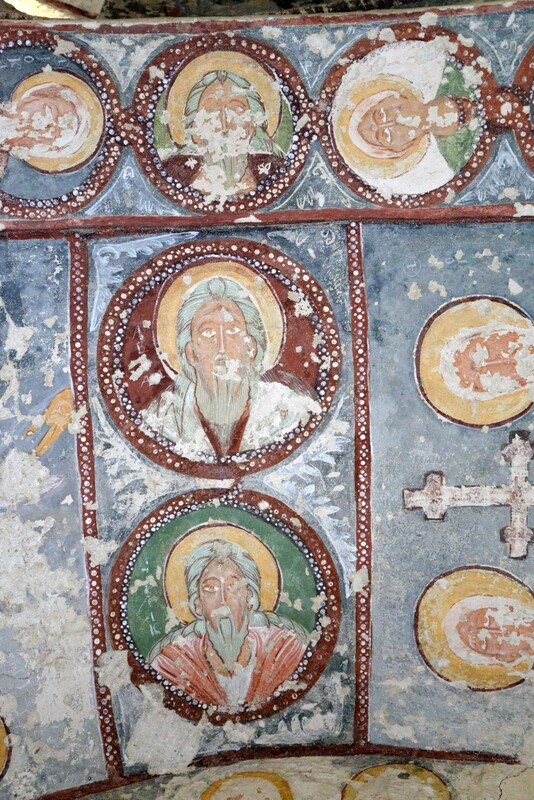 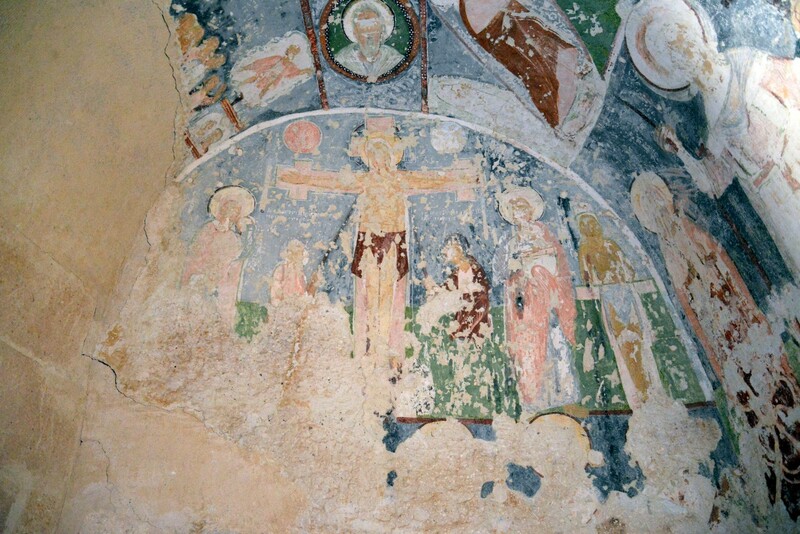 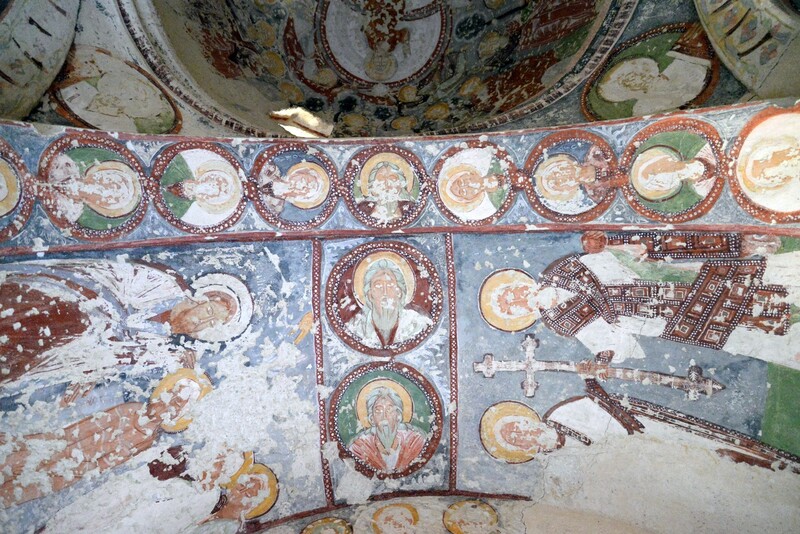 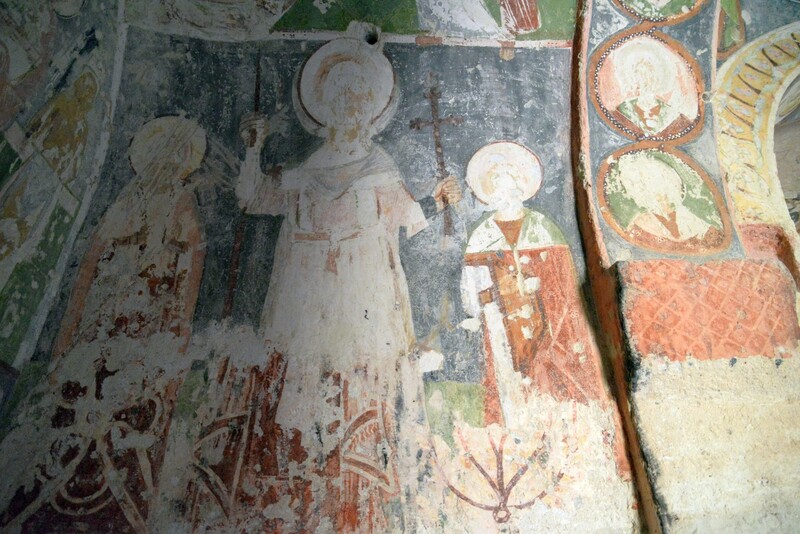 Just a short walk from the most famous churches in Göreme open-air museum stands the forgotten church of the Evil Eye. 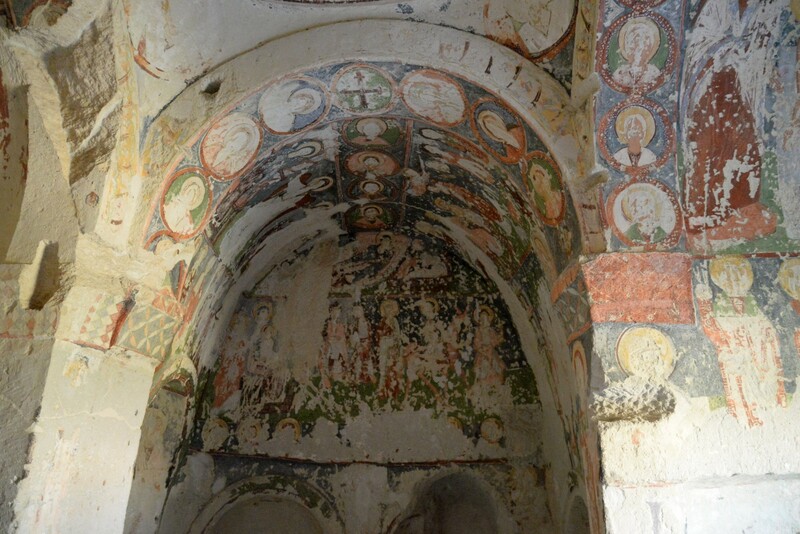 It has been beautifully restored and is now guarded by a custodian who adapted a nearby rock into a stone house. 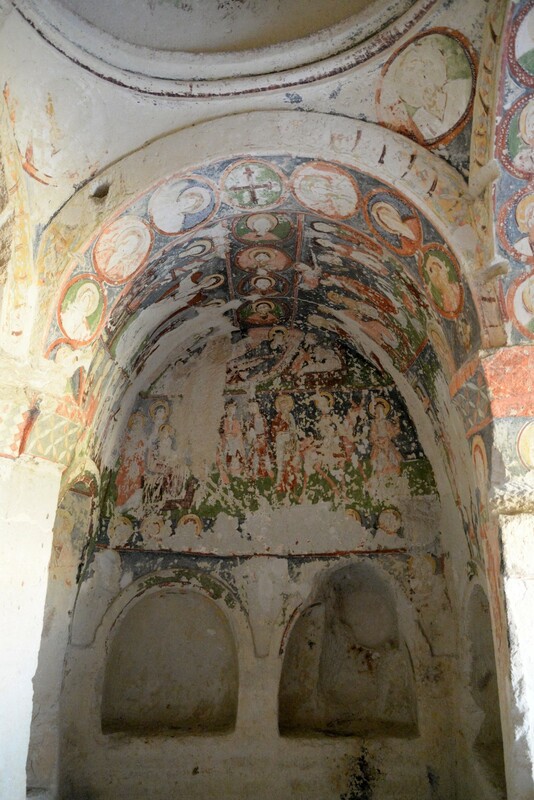 A visit to the church is a nice respite from the crowds, and at the same time - an opportunity to see wonderful Byzantine frescoes. 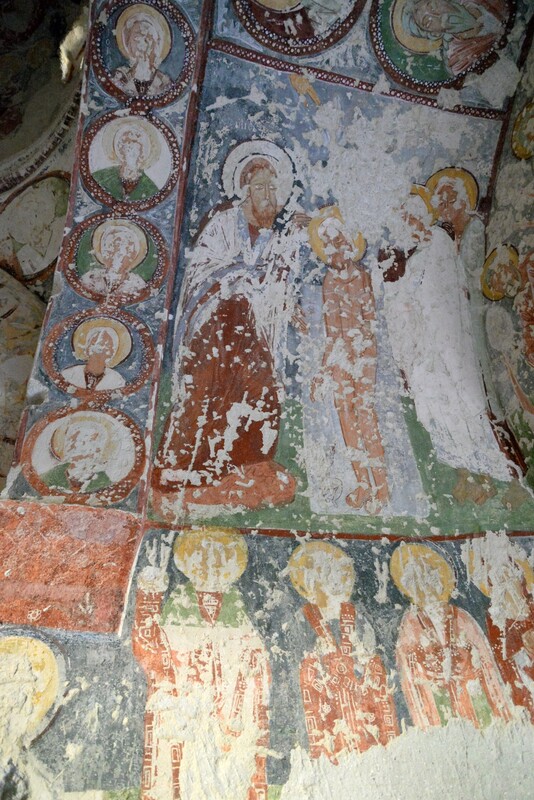 Here, nobody will pay attention as you take a few photos, but remember that the flashlight is harmful to these 10-century-old works of art. 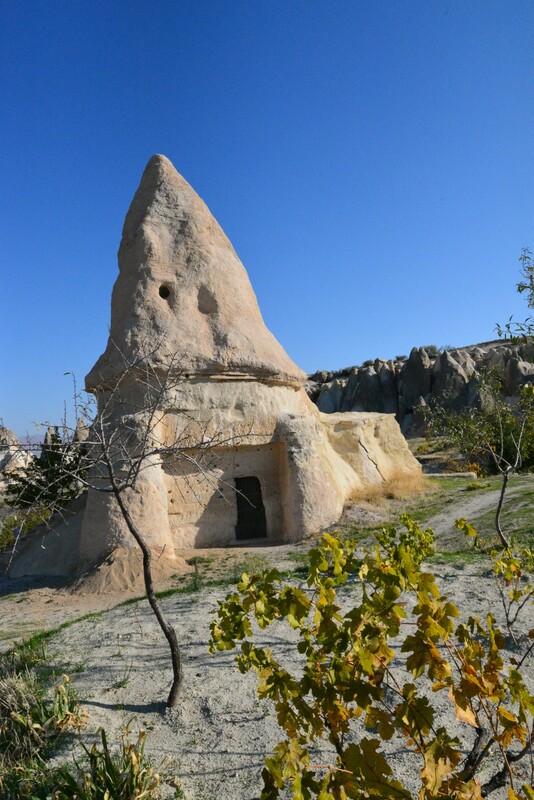 The Church of the Evil Eye is located in a lone rock, in the shape reminiscent of a cone or a giant tooth. 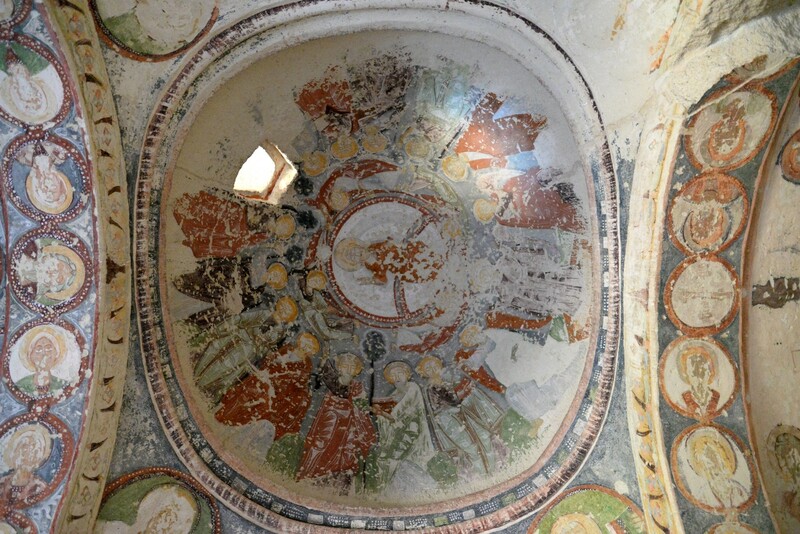 In its interior, the cross-plan church was carved in the rock, covered with a dome. 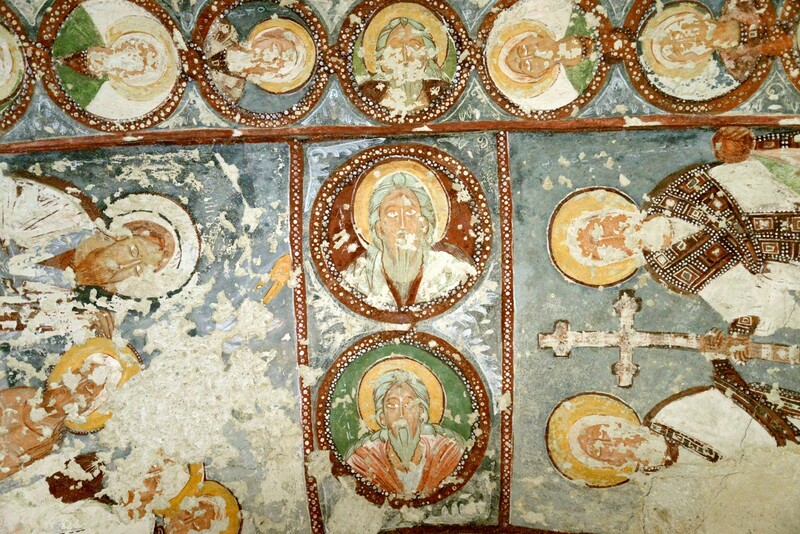 It is decorated with the image of Christ as Pantocrator i.e. 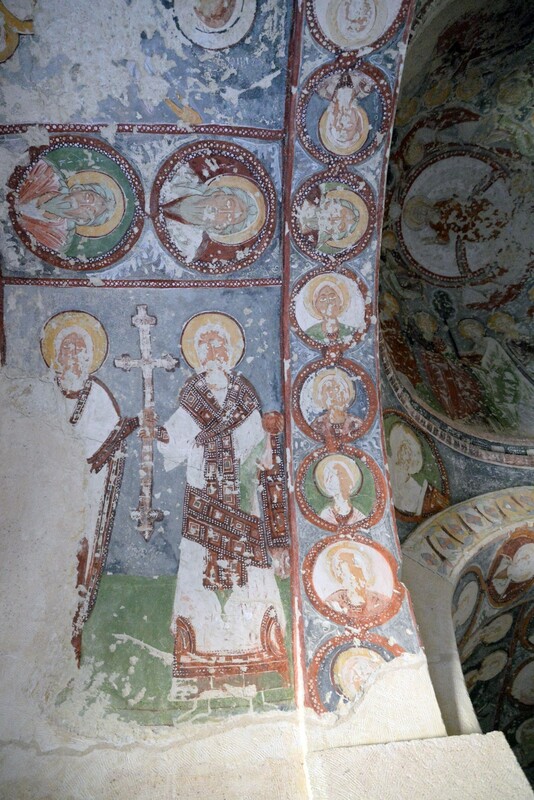 Almighty, surrounded by the Apostles. 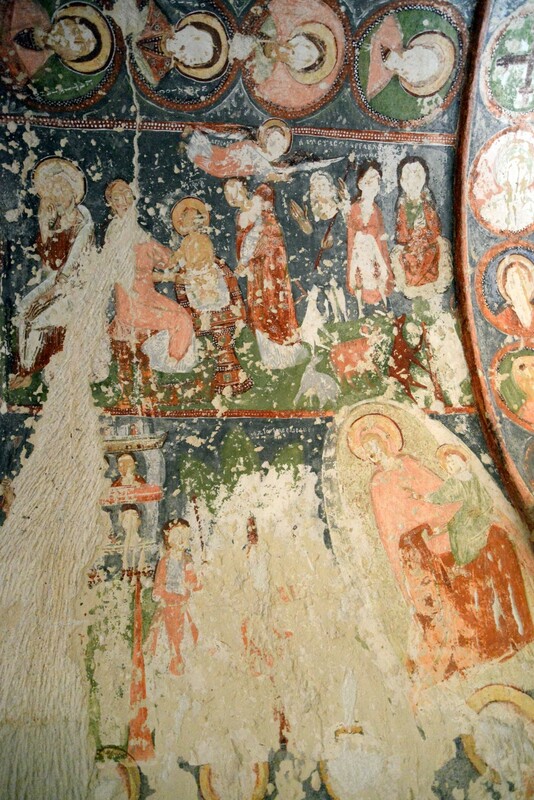 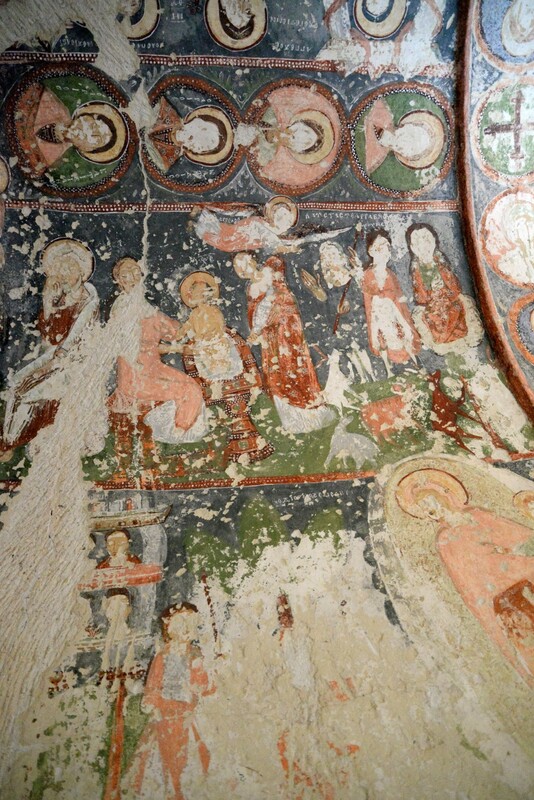 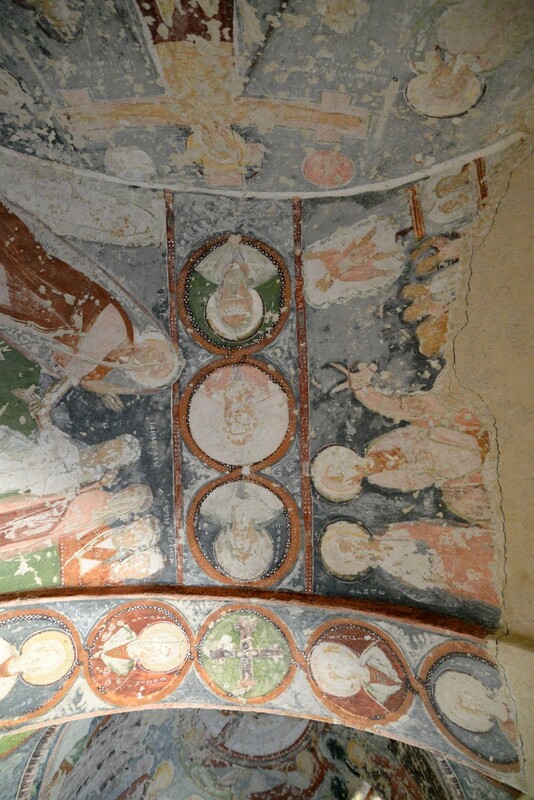 Other frescoes in the church depict the scenes of the Annunciation, Visitation, Nativity, Adoration of the Magi, Flight into Egypt, Presentation of Jesus in the Temple, Pursuit of Elizabeth, Baptism, Raising of Lazarus, Transfiguration, Entry into Jerusalem, Crucifixion, Anastasis, Ascension. 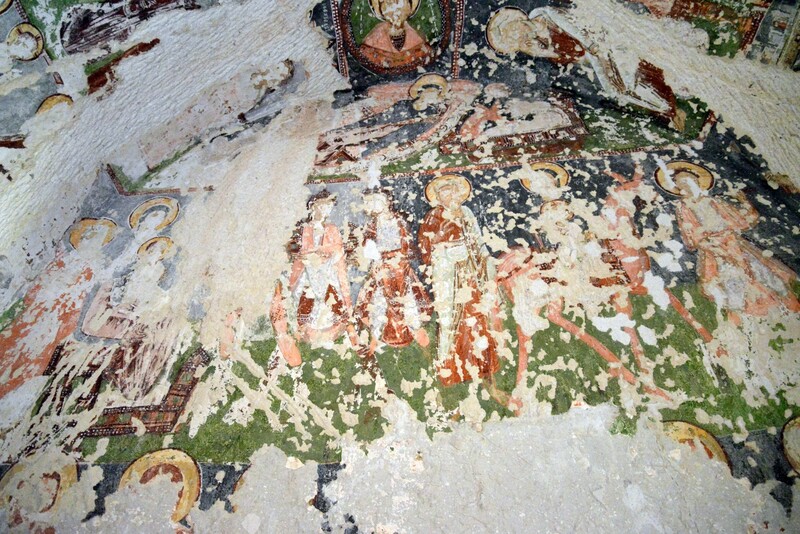 In the eastern part of the church, there are some tombs, and its eastern part has collapsed. 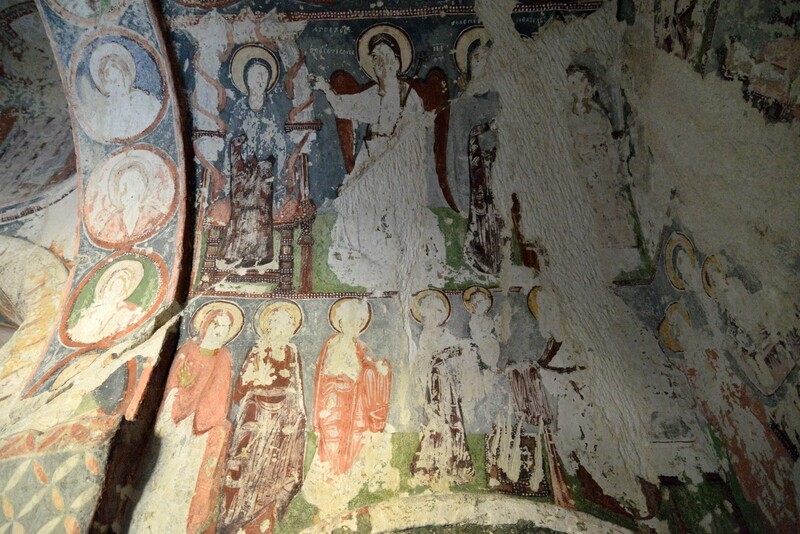 According to official information the church is open from 8:00 am to 5:00 pm. 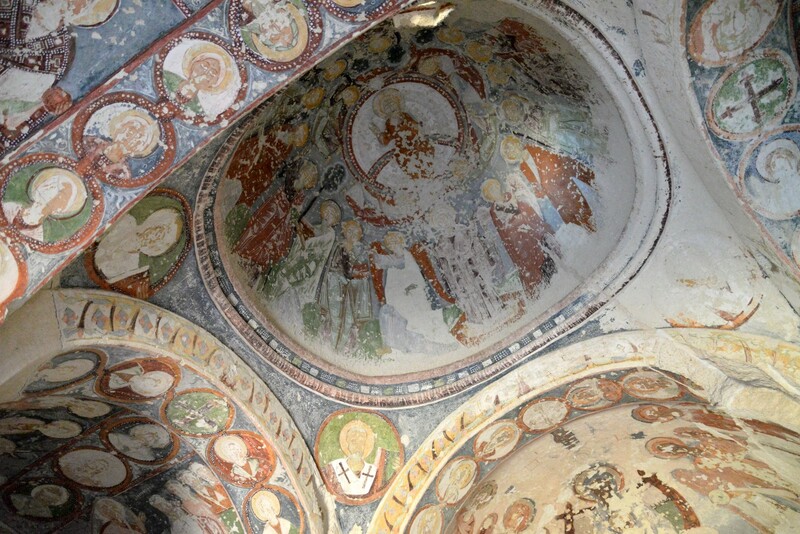 In practise, it is necessary to wait for the custodian who will open the doors. 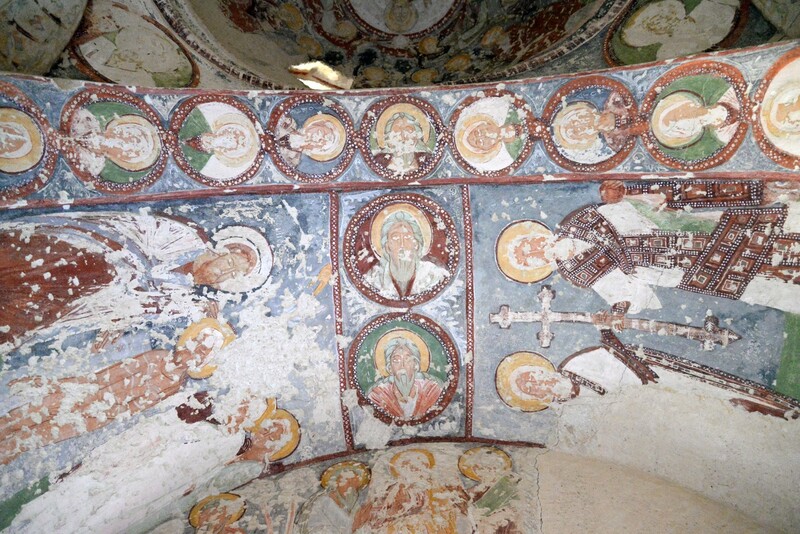 The ticket costs 8 TL. 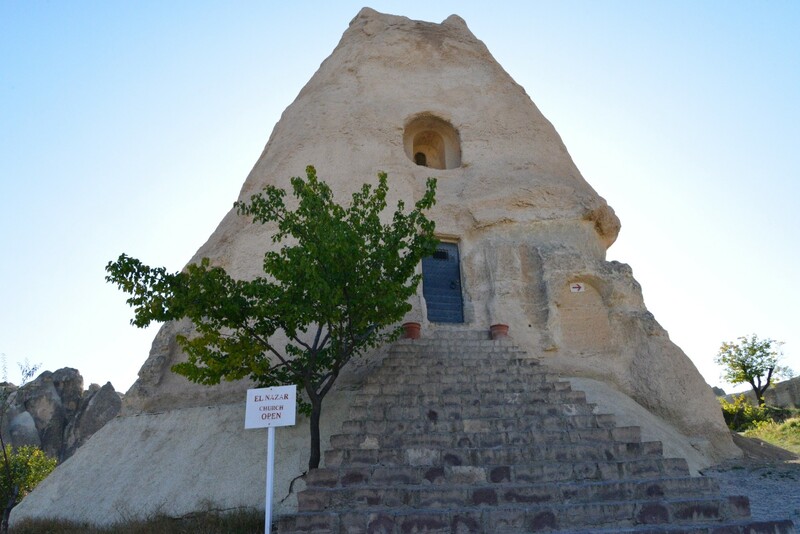 On foot: it is possible to walk to the Church of the Evil Eye from Göreme. 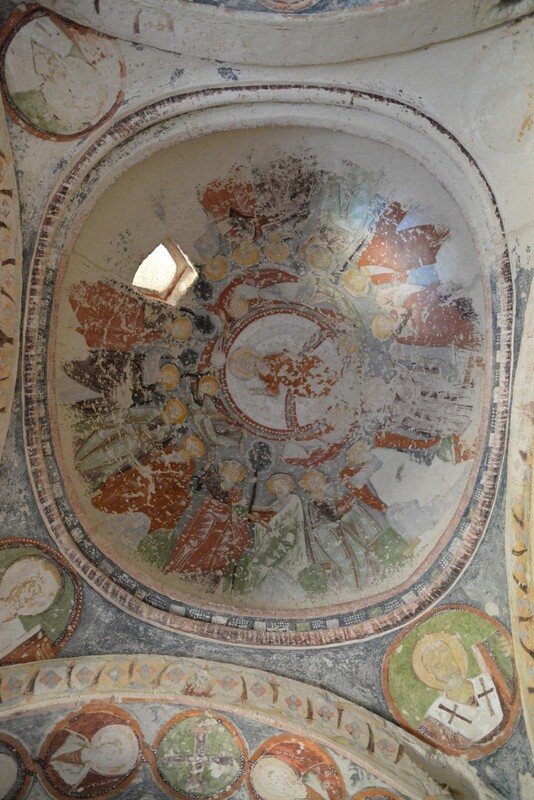 The church is situated at the end of a dirt track that forks off Museum Street (tr. 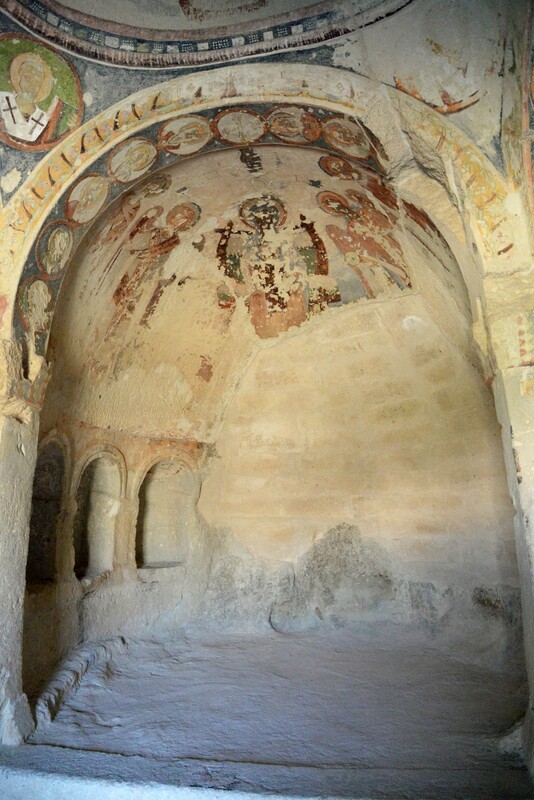 Müze Caddesi), connecting the centre of Göreme with the famous open-air museum. 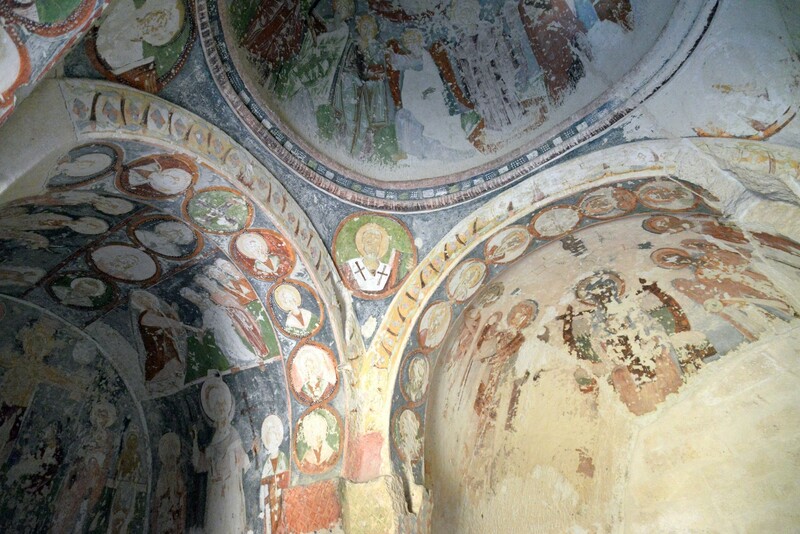 The distance from the centre of Göreme is 1.5 km. 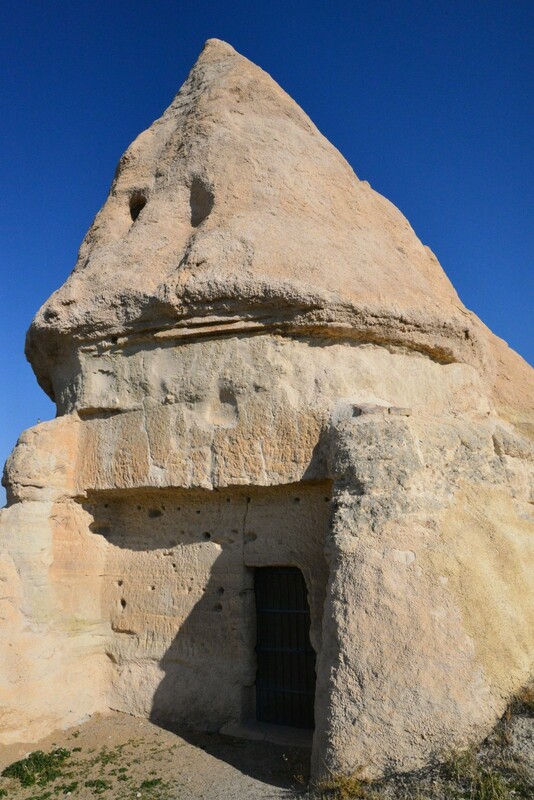 With public transport: the buses from Göreme to Ürgüp, Ortahisar, Avanos and Çavuşin travel along Museum Street. 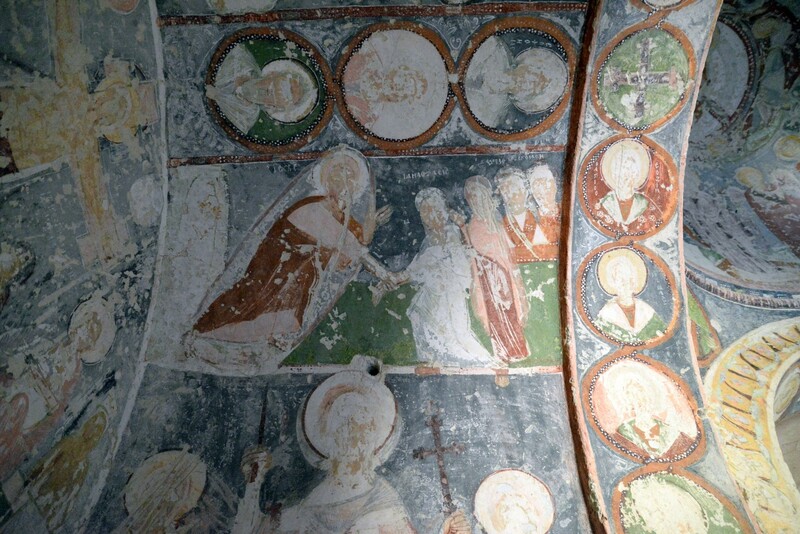 Ask the driver to stop at the point where the path to the church starts. 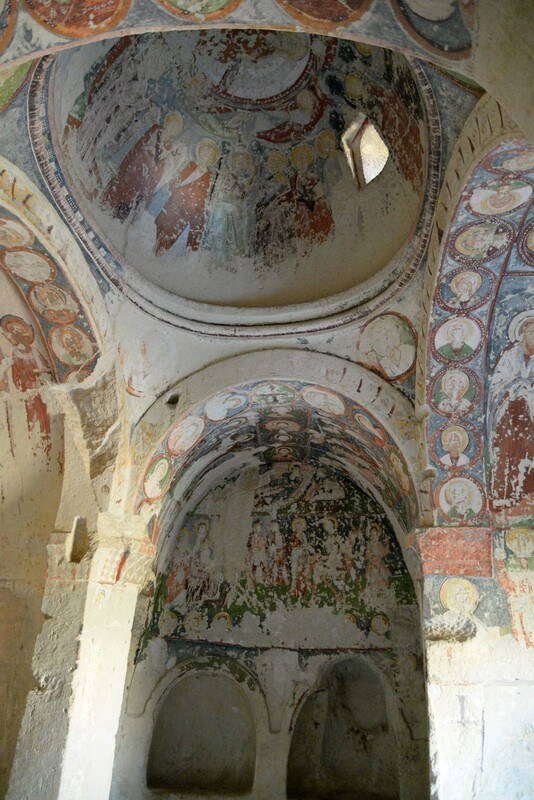 It is necessary to walk the remaining distance (800 meters) to get to the church.